While watching the winter Olympics you may have noticed that certain commercials are being played repeatedly and they might raise some questions for you. For instance, Subway's Fritos Chicken Enchilada sandwich probably makes you ask, "Why? How? Whaaat?" Unfortunately, those questions have no answers, but AT&T's commercial with paralympian skier Heath Calhoun can be explained. In the ad, Calhoun is shown returning to the locker room after a rough day of practice and finding comfort in a video message from his son. It's very emotional and it might make you wonder who exactly this skier is. 1. Calhoun is a retired Army Staff Sergeant who lost both his legs ten years ago in Iraq. He was hit with a grenade when serving with the 101st Airborne Division in 2003 and the injuries he sustained left him as a double amputee. 2. He is a Purple Heart recipient. It just kind of blossomed accidentally. I was in a wheelchair. I didn’t want to be in a wheelchair, I wanted to get up. I wanted life [back] the way it was. At some point I accepted it was never going to be the way it was, but it could be different, and better, even. It was something that put me back on a level playing field with everybody else and from there, I just wanted to be good at it — I wanted to be the best. 4. His twitter handle is @LeglessHeath showing his sense of humor and acceptance of his injuries. 5. He is competing in five events in the Sochi Olympics: Downhill, Slalom, Giant Slalom, Super-G, and Super Combined. 6. 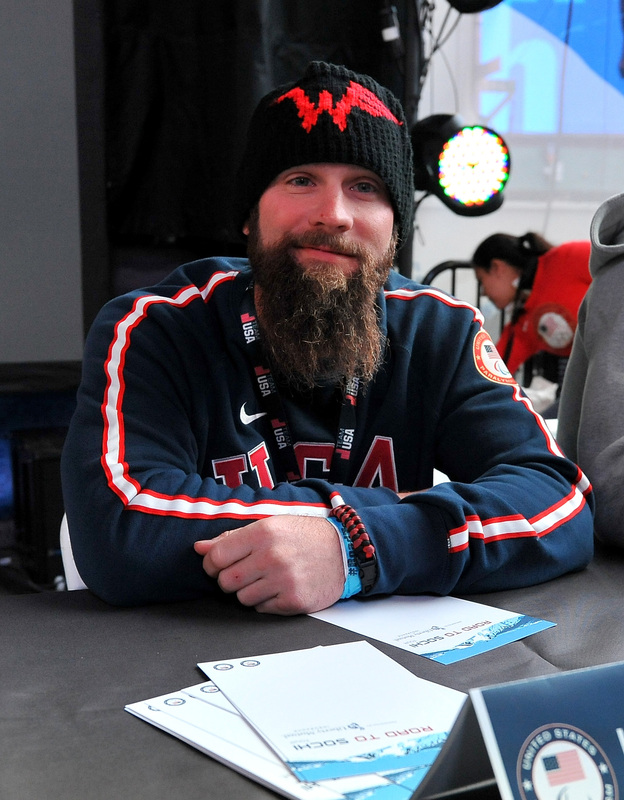 Sochi is Calhoun's second Olympic games. He also competed in Vancouver in 2010. 7. He is a spokesperson for the Wounded Warrior Project and helped get the Wounded Warrior Bill passed in 2005 the goal of which is to improve healthcare for soldiers returning from Iraq and Afghanistan. 8. He hasn't used a wheelchair since 2005. 9. He has a son and two daughters and lives in Clarksville, Tenn.
10. This goes without saying, but he's very inspirational no matter what your personal situation may be. I had the opportunity to sit at home and be upset, be disappointed with the way life worked out for me. But I felt like I had too much to live for, too much that I could do, instead of feeling sorry for myself. So I chose to look at it in a positive light, and it’s led me down a wonderful road. If you haven't seen it yet, watch Heath Calhoun's AT&T commercial for yourself below.